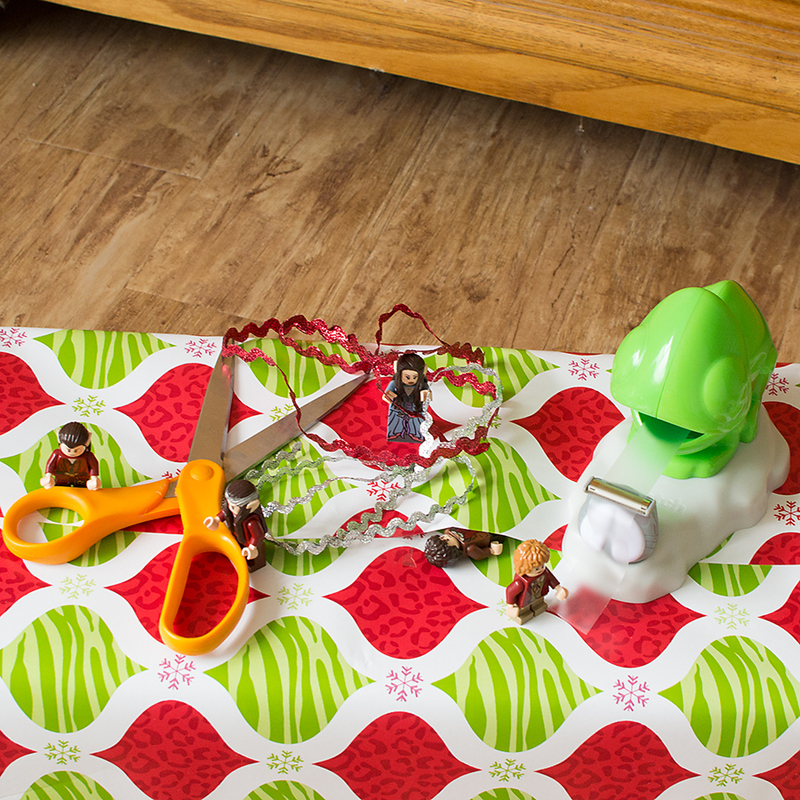 Today the Minifigures were helping to wrap gifts. 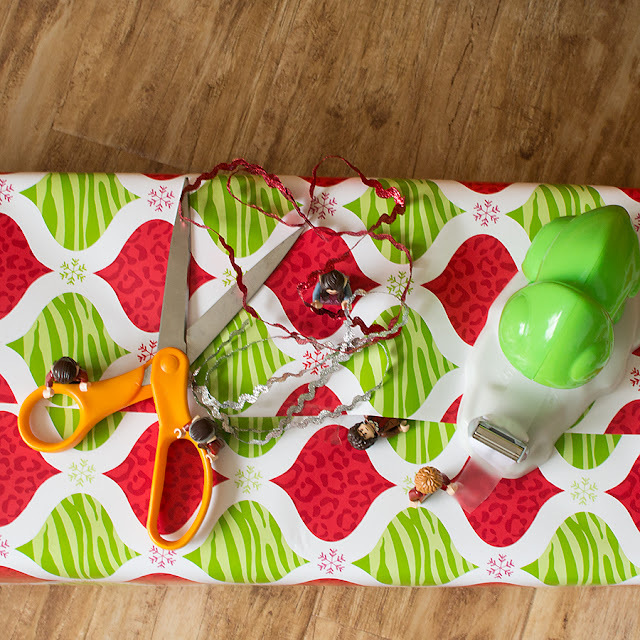 This one is for Daddy. I think. 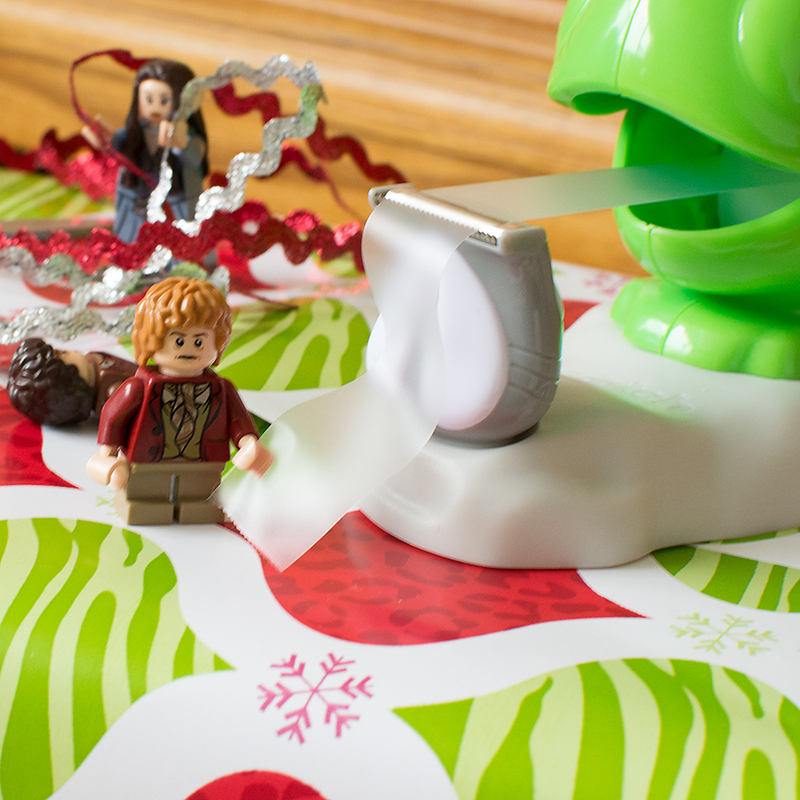 Bilbo is in charge of the tape. 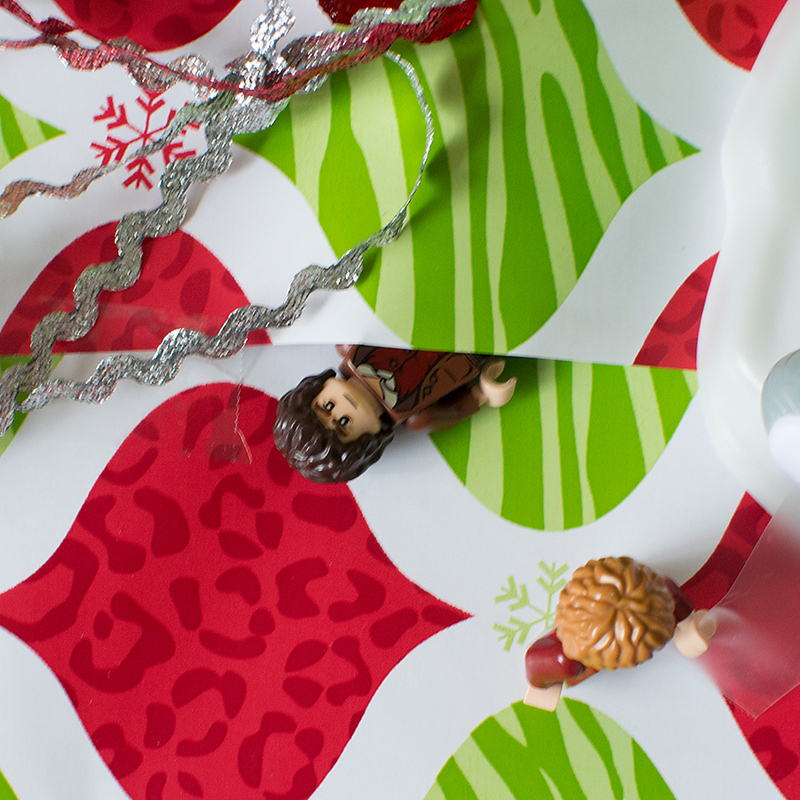 Frodo is wrapping the present....or himself. I'm not quite sure. 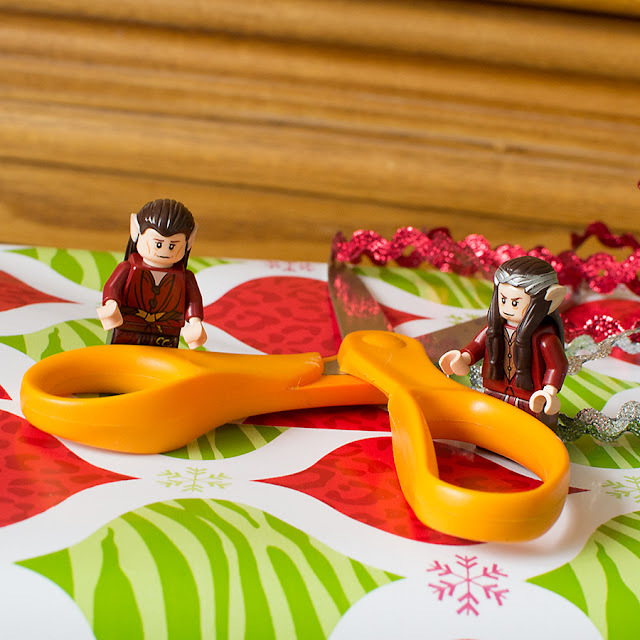 The elves are in charge of the scissors. 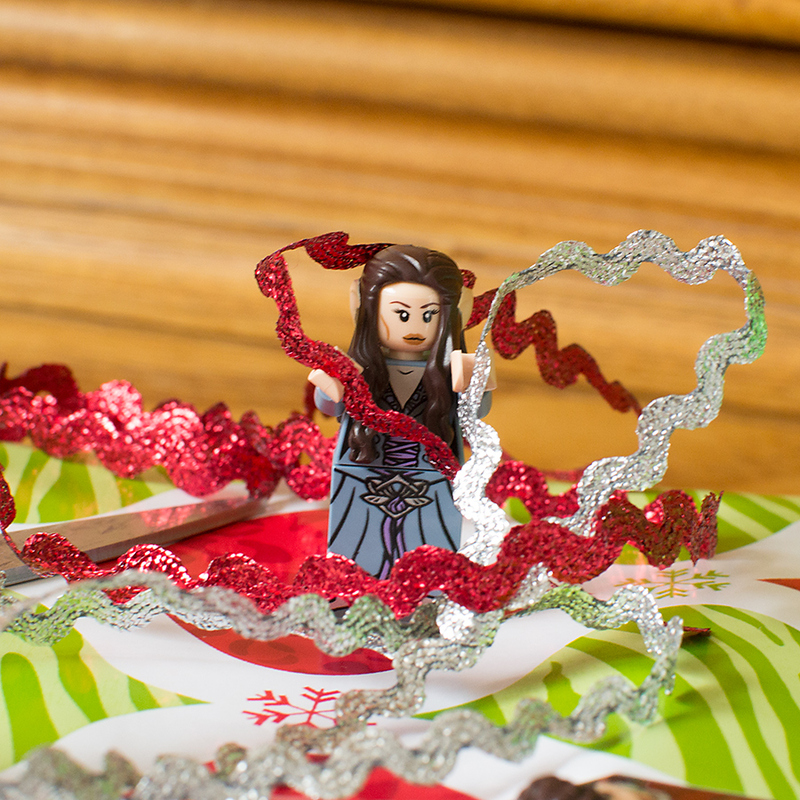 Arwen is in charge of the ribbons. I think they have this figured out. Luckily for the elves and hobbits, there aren't too many presents to wrap this year.